Keisuke Yamagishi is a native of the province of Nagano, situated in the central region of Japan where he developed a deep sensitivity for nature and rurality. 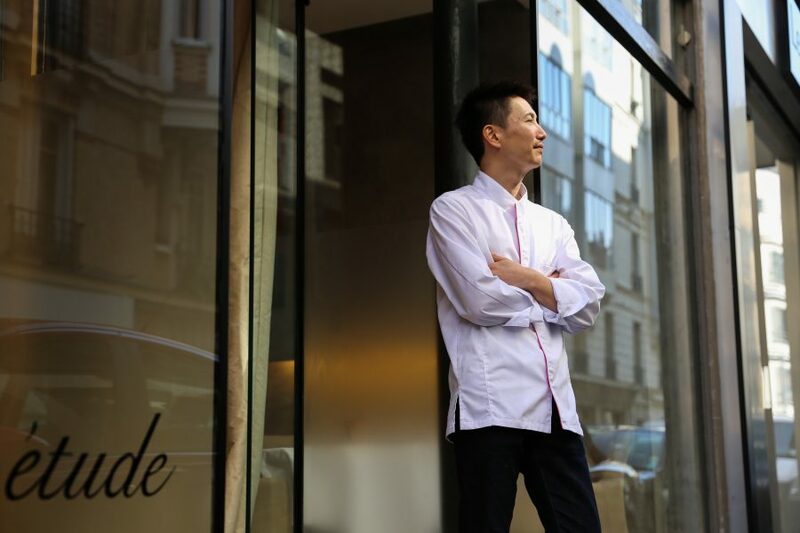 His early fascination with the richness of French cuisine and his innate capacity to reinvent his works led him to the opening of his own establishment in late 2013, following years of training under outstanding chefs practising their art in Tokyo and Paris, the city where he settled ten years ago. In the creation of his menus, Keisuke Yamagishi demonstrates a rich creativity which arises from his unrelenting quest for the perfect culinary harmony, emulating Frédéric Chopin, whose preeminent Études was his inspiration for the name of the restaurant.